Ticks are tiny insects that thrive in warm and highly vegetated areas, and often take up residence on pets like dogs and cats. As they are mainly active in warm weather, ticks become a problem for pet owners during the spring and summer seasons. Just like in humans, ticks attach themselves to your pet’s body to feed on their blood. Pets easily pick up ticks while romping around in tick-infested yards or hiking in the woods with their owners. Also, ticks can survive for some time indoors on curtains, underneath rugs and on furniture before biting your pet or other family members. A tick infestation can spread quickly. When bitten by ticks, dogs can show signs like swollen lymph nodes, pain and swelling in the joints, loss of appetite, fever, skin irritation, anemia and so on. Some of these symptoms may indicate that your dog has been infected by a disease that the tick transmitted. Ticks may carry diseases like Rocky Mountain spotted fever, Lyme disease, ehrlichiosis and others. If your dog appears to be ill, especially after tick removal, consult your vet as soon as possible. Fortunately, there are many simple and easy ways to prevent and treat tick bites on dogs. Here are 10 ways to treat and prevent tick bites on dogs. 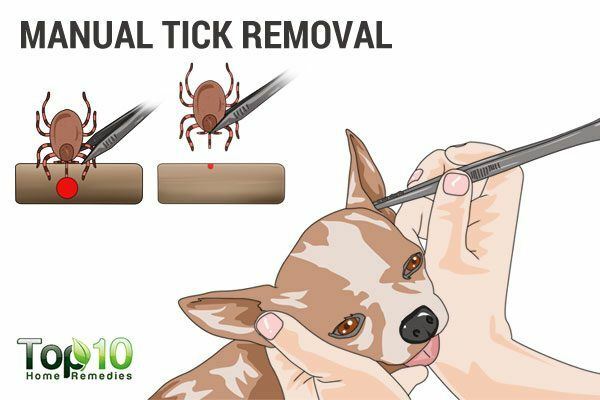 When you’re dealing with just one or a few ticks, the best and most effective way to get rid of them is manually picking them off your pet. Put on a pair of good quality gloves, get a pair of tweezers and put some alcohol in a bowl. Check for ticks on your dog’s skin. If needed, part the hair with a fine-toothed comb to help you thoroughly inspect all of the skin. Once you spot a tick, grab it using the tweezers. Drop the tick in the bowl of alcohol to kill it. Clean up the site of the bite using a disinfectant. Finally, wash your hands as well as the comb and tweezers. Note: When removing a tick with tweezers, make sure to grab it by its head, close to the skin. Do not twist the tick as it may cause the tick’s mouthparts to break and remain embedded in the skin. 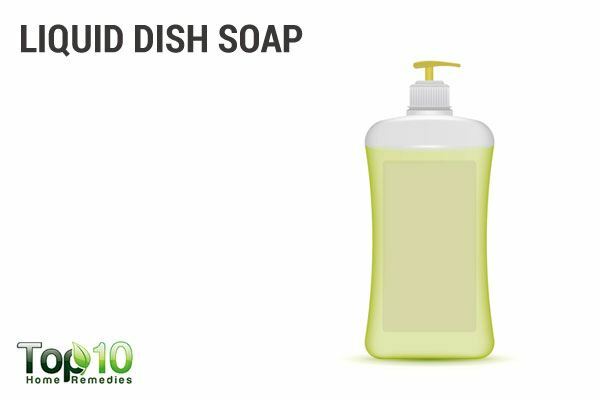 Liquid dish soap is also beneficial in killing ticks. It will suffocate the tiny insects, and they will gradually come off the skin. 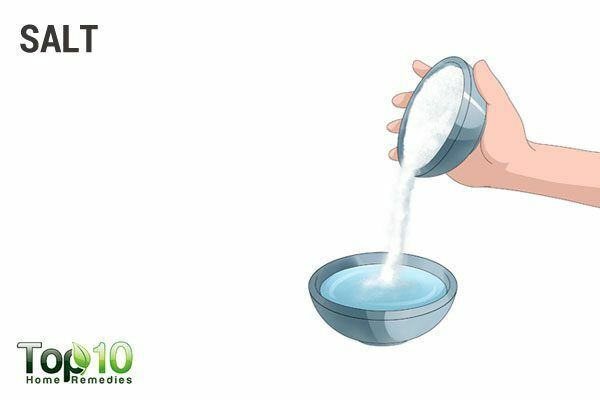 Pour some liquid dish soap in a bowl. Using a cotton ball, apply it on your pet’s body, covering the area where there are ticks. Wait 15 minutes, then give your pet a bath. Repeat as needed. Another option is to fill a bowl with hot water and add 1 to 2 tablespoons of liquid dish soap. Dip a comb in the solution, then comb it thoroughly through your pet’s fur. Dip the comb in the solution again as needed. Do this once daily until the ticks are gone. For dog owners, apple cider vinegar works as a natural and effective tick repellent. Its acidic taste is unappealing to ticks, and thus helps keep the ticks from latching onto your pet. 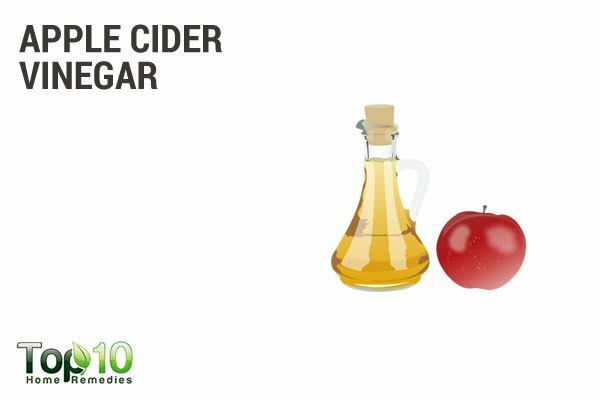 Put equal amounts of apple cider vinegar and water in a spray bottle. Add 2 or 3 drops of lavender oil. Put the cap on the bottle and give it a few shakes to mix the ingredients. Spray the solution on your pet’s body, taking care not to get it in the eyes, ears and nose. Run a comb through the wet fur, then give your pet a bath. Repeat once daily but you don’t need to bathe your pet daily. Alternatively, you can add 1 to 2 tablespoon of raw, unfiltered apple cider vinegar (depending on your pet’s size) to your dog’s food or water bowl once daily. Food-grade diatomaceous earth, a nontoxic powder consisting of ground fossils, marine life and fresh water organisms, can help kill ticks and prevent an infestation. 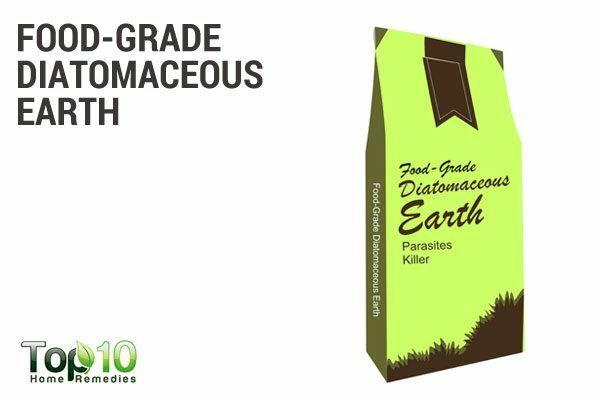 The sharp particles of diatomaceous earth can penetrate the skin of the ticks and other pests and ultimately kill them. Sprinkle some food-grade diatomaceous earth on your pet’s body and rub it around the skin gently to control ticks. Wait 24 hours, then bathe your pet. Repeat again if needed. To control a tick infestation, put some food-grade diatomaceous earth powder in the areas where you pet spends the most time. Allow it to sit for about 12 hours, then vacuum the area thoroughly. Repeat the process once a week for 2 or 3 weeks. 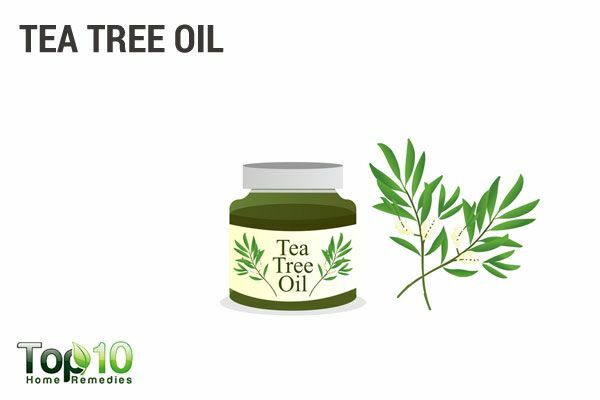 The medicinal properties of tea tree oil can help get rid of ticks from your pet’s body. Its antiseptic properties also prevent infections from developing in the bitten areas. Add a few drops of tea tree oil to your pet’s regular shampoo. Use the shampoo to wash your dog’s fur 2 or 3 times a week. Alternatively, put 5 or 6 drops of tea tree oil in a spray bottle filled with lukewarm water. Spray it directly on your pet’s body. Comb thoroughly, then bathe your dog. Do it 2 or 3 times a week. Neem, also known as Indian lilac, can help control a tick infestation as well as kill the tiny insects. The strong odor of neem oil helps repel unwanted pests. It also contains antiseptic and antibacterial properties that help sanitize the bitten area and prevent an infection. 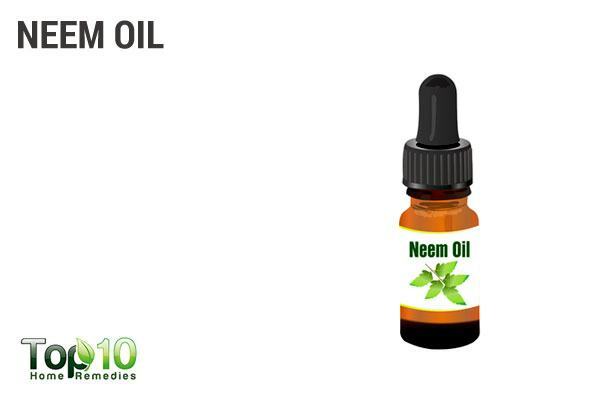 Pour a few drops of neem oil on your palm and gently rub it on the affected region. For dogs that are sensitive to neem oil, dilute it with almond oil in a ratio of 1:10 and use accordingly, twice daily. Put 2 tablespoons each of neem oil and a mild detergent in a spray bottle. Add 1 cup of water to it and shake well to mix the ingredients. Use this spray on your dog immediately. Allow it to dry. Repeat once or twice daily. Prepare a fresh batch for each application. Lemon is an easy way of killing and repelling ticks. Lemon juice contains citric acid, which is great at getting ticks off your pet’s body. 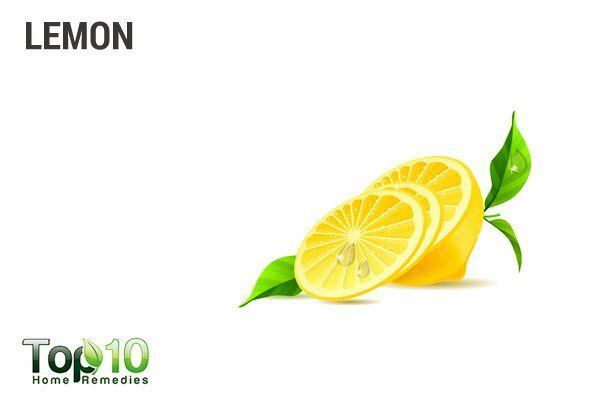 Squeeze fresh lemon juice directly on the affected part of the dog. Wait 10 to 15 minutes, then give your pet a nice bath. Repeat as needed. Boil 1 to 2 lemons (cut into thin slices) in a pan of hot water. Cover and steep the solution overnight. Strain and transfer the solution into a spray bottle. Spray it on your pet’s skin, especially behind the ears, around the head, at the base of the tail and in the armpits. Comb thoroughly through the fur. Repeat as needed. Salt is a nontoxic ingredient that can be used safely to combat ticks. This hygroscopic agent attracts moisture, which ticks do not like. Also, it causes dehydration, ultimately killing the ticks. Mix ½ teaspoon each of salt and baking soda. Combine 1 cup each of vinegar and water, then add the dry mixture to it. Pour the solution into a spray bottle. Spray it on your pet’s body. Comb and then bathe you pet. Use the treatment 1 or 2 times a week. You can also give your house a good cleaning with a mixture of salt and baking soda to effectively kill and repel ticks, fleas and other parasites. 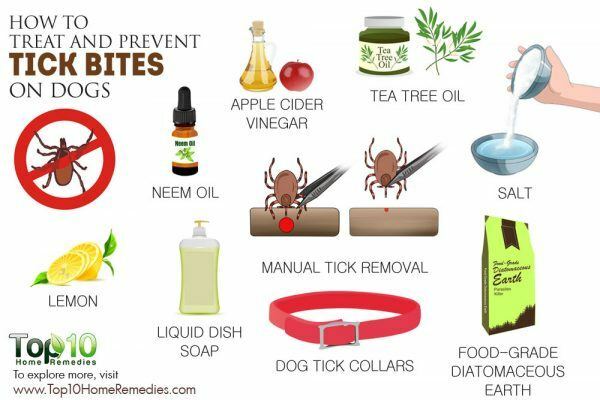 Vegetable oil also works as a natural repellent for ticks. The oil will suffocate the ticks, ultimately killing them. 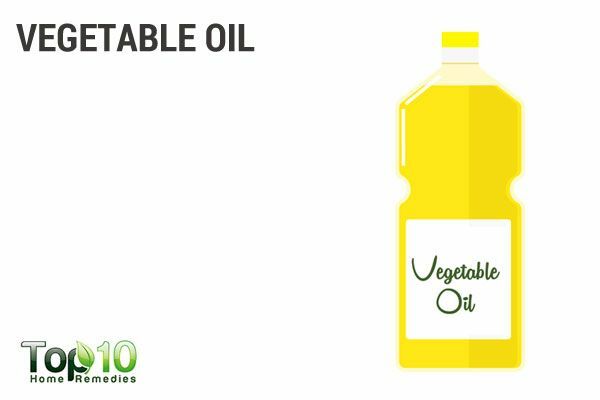 Combine 2 teaspoons of vegetable oil, 10 drops of peppermint or eucalyptus essential oil and 1 teaspoon of dishwashing liquid. Apply it on your pet’s body using a cotton ball. Allow it to sit for 15 minutes. Comb the fur thoroughly before giving your pet a bath. For best results, repeat 2 or 3 times a week. 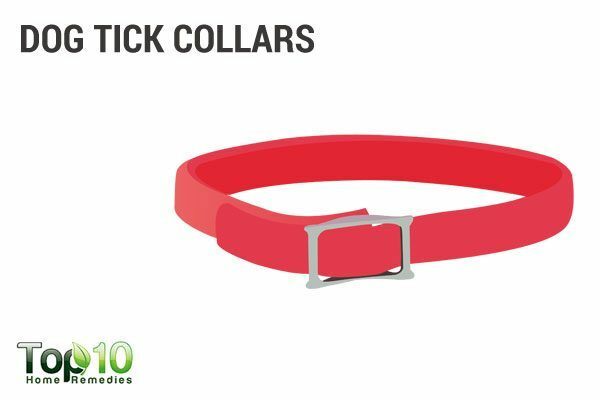 Dog tick collars can also help repel ticks to prevent a tick infestation, especially in the areas around the head, ears and neck. There are several brands of dog tick collars available in the market. You can ask your vet to help you choose the right one. To allow the chemicals to reach other parts of the skin, the collar should be worn in such a way that it is in contact with the skin. Also, make sure that there is enough room to allow two fingers under the collar. Watch the dog for any signs of discomfort, such as itching and scratching, to make sure your pet is not allergic to the chemicals in the collar. You can also use tick repellent powder to get rid of ticks. You can ask your vet for the brand and type and follow the instructions. Another option is to use medicated shampoos to keep ticks at bay. Some people also use rubbing alcohol to help remove ticks from pets but it is not recommended to use rubbing alcohol on your pet’s skin. Whenever you return from a morning walk, do not forget to comb your pet. It will help sweep off ticks and prevent irritation. Thoroughly vacuum your home, including the corner areas. This will help remove any ticks or larvae present. Use hot water to wash blankets, bedding and other items used by your pet. Keep your pet away from bushy or wooded areas. Remove all the litter, including fallen leaves and weeds, from your lawn. Hey I have 2 dogs,is it safe if I apply the neem oil on one and the other one licks it off?